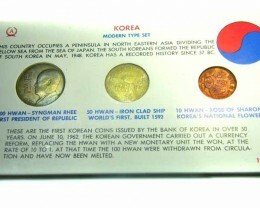 AND COMPLETE SET OF SIX COINS. 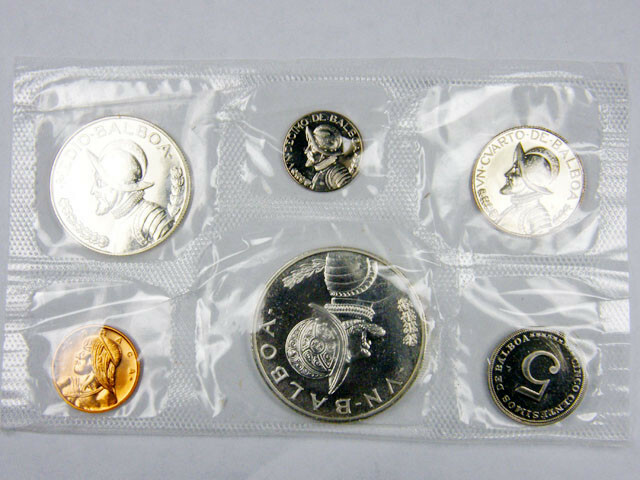 DURING THE LAST SILVER RUSH IN THE 1980 ,MOST OF THESE SILVER COINS WERE MELTED FOR THEIR SILVER CONTENT SO ARE RARE TO FIND TODAY. 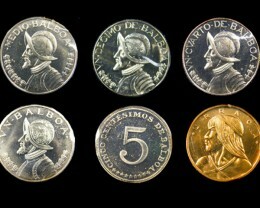 In 1904, silver coins in denominations of 2½, 5, 10, 25 and 50 centésimos were introduced. These coins were weight related to the 25 gram 50 centésimos, making the 2½ centésimos coin 1¼ grams. 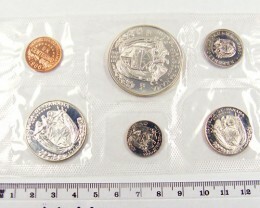 Its small size led to it being known as the "Panama Pill" or "Panama Pearl". 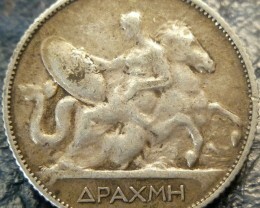 In 1907, cupro-nickel ½ and 2½ centésimos coins were introduced, followed by cupro-nickel 5 centésimos in 1929. 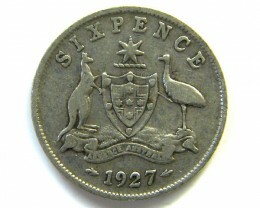 In 1930, coins for 1⁄10, ¼ and ½ balboa were introduced, followed by 1 balboa in 1931, which were identical in size and composition to the corresponding U.S. coins. 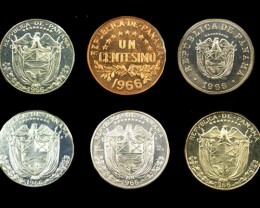 In 1935, bronze 1 centésimo coins were introduced, with 1¼ centésimos pieces minted in 1940. 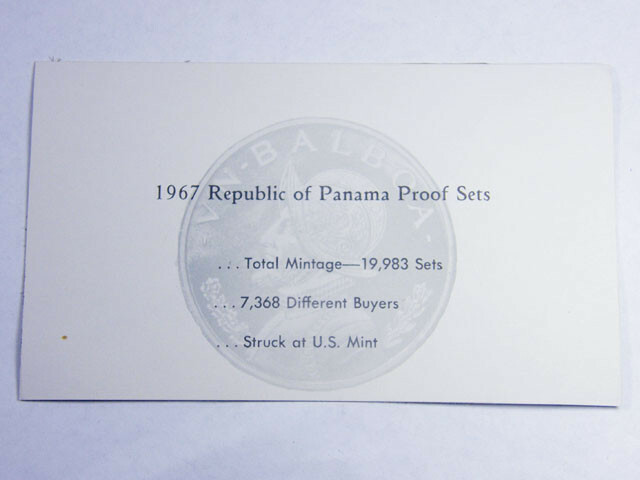 In 1966, Panama followed the U.S. in changing the composition of their silver coins, with cupro-nickel-clad-copper 1⁄10 and ¼ balboa and .400 fineness ½ balboa. 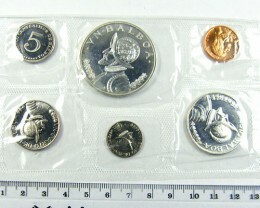 1 balboa coins were issued that year for the first time since 1947. 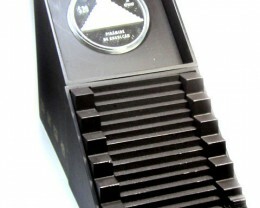 In 1973, cupro-nickel-clad-copper ½ balboa were introduced. 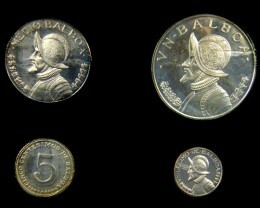 Further issues of the 1 balboa have been made since 1982 in cupro-nickel without reducing the size. 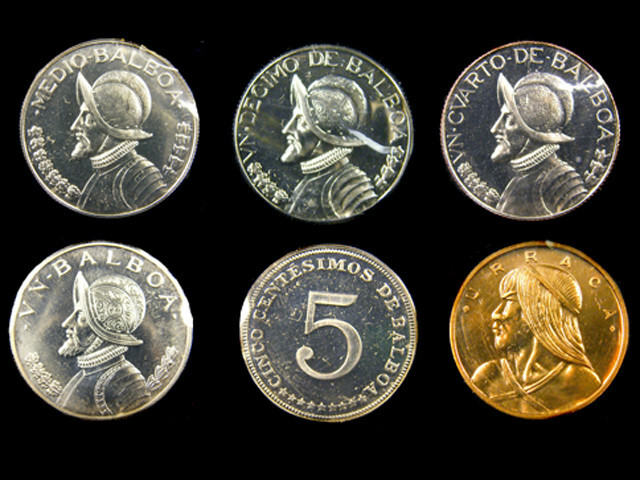 Modern 1 and 5 centésimos and 1⁄10, ¼ and ½ balboa coins are the same weight, dimensions and composition as the U.S. cent, nickel, dime, quarter and half-dollar, respectively. 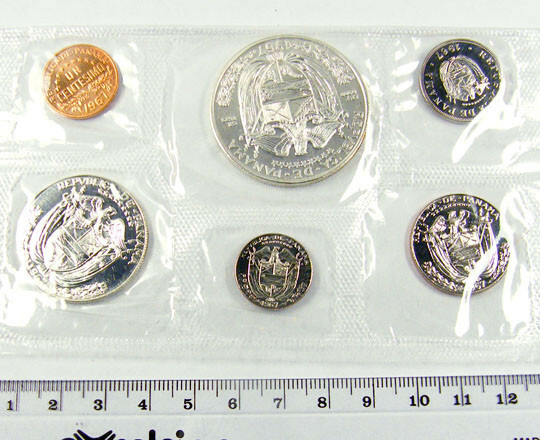 The Franklin Mint was founded in 1964 when it began striking legal tender coins for foreign countries, as well as commemorative medallions, casino tokens and precious metal ingots. 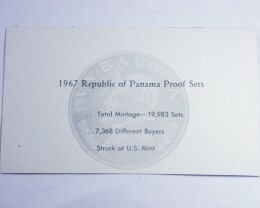 Eventually, the product line was expanded to include the sculptures, deluxe games, precision die-cast models, beautiful collector dolls, and more sought-after collectibles for which the Mint is now world famous. Throughout its history, the Mint’s gifted artists and artisans have built a reputation based firmly on an uncompromising commitment to excellence, attention to detail, and a vibrant spirit of innovation that continues to set industry standards. The fruits of their talents are evident in every creation that bears the company’s prestigious mintmark.. Through the years, The Franklin Mint has achieved enormous success with the introduction of some of the best-selling collectibles ever issued, including The Civil War Chess Set, Monopoly: The Collector’s Edition, the spectacular scale re-creation of the Harley-Davidson Heritage Softail Classic—as well as scoring huge successes with an array of products authorized by General Motors, Ford Motor Company, Elvis Presley Enterprises, Paramount Studios, and The Smithsonian Institution, to name just a few. Success, however, is not determined by numbers alone. The real measure is in the way Franklin Mint creations enrich the lives of the people who own them—the realization that they possess works of unparalleled quality, artistry and craftsmanship to enjoy, display, and pass on to future generations with pride. 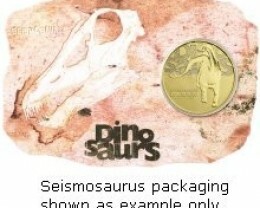 It is to this end that The Franklin Mint will always be passionately devoted.